Major Thomas Bunbury gathered signatures to the Treaty of Waitangi at Kākāpō Bay on 17 June 1840. On the following day he raised the British flag at Horahora Kākahu, a pā on a peninsula facing Kākāpō Bay across Port Underwood, and proclaimed British sovereignty over the South Island. 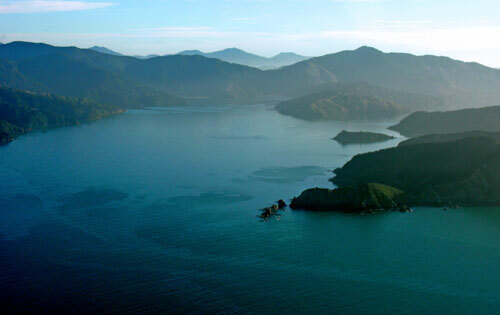 In this picture looking north into Port Underwood, Horahora Kākahu Island is at right in the middle distance, and Robertson Point is in the foreground.